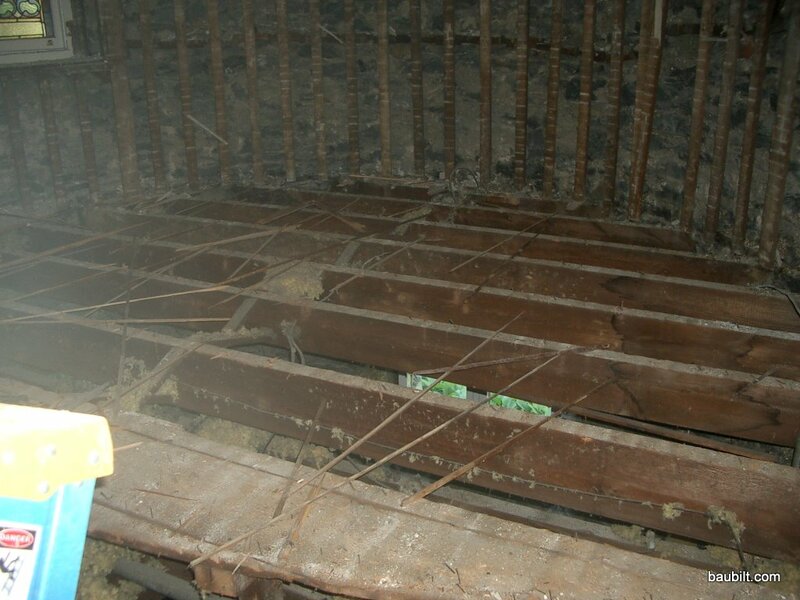 To connect the lower level with the main level, we had to demolish the elevated platform within the apse that had been the altar (until 1929) and the bedroom from then on. 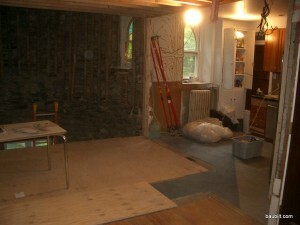 Here's the fully demo'd apse area looking from the dining area. The kitchen (which we basically kept intact) is on the right. This photo is shot from about the same spot as the first photo of the finished condition. 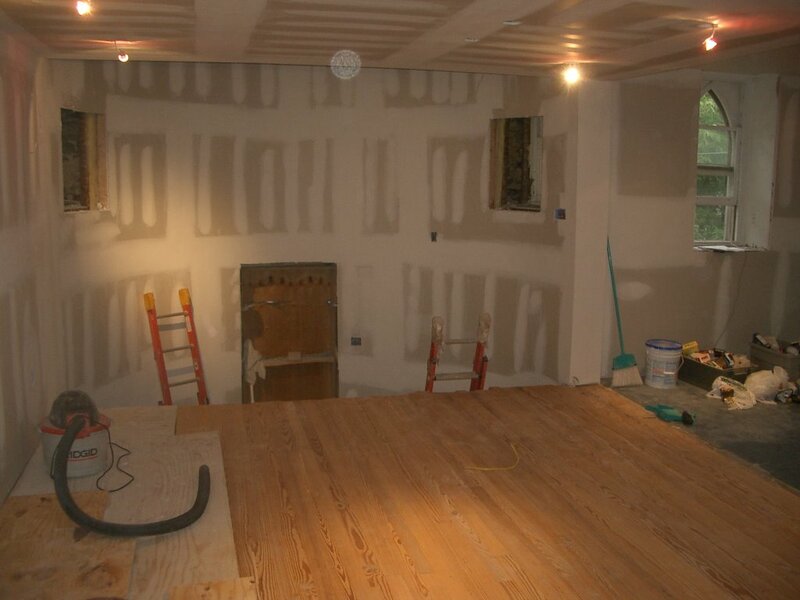 The kitchen dining area after drywall and flooring. 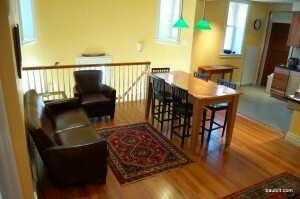 The flooring is reclaimed antique heart pine. This is horrifyingly expensive stuff ($15/sq-ft), but was the only way we could match the 100-year-old pine in the rest of the main level.